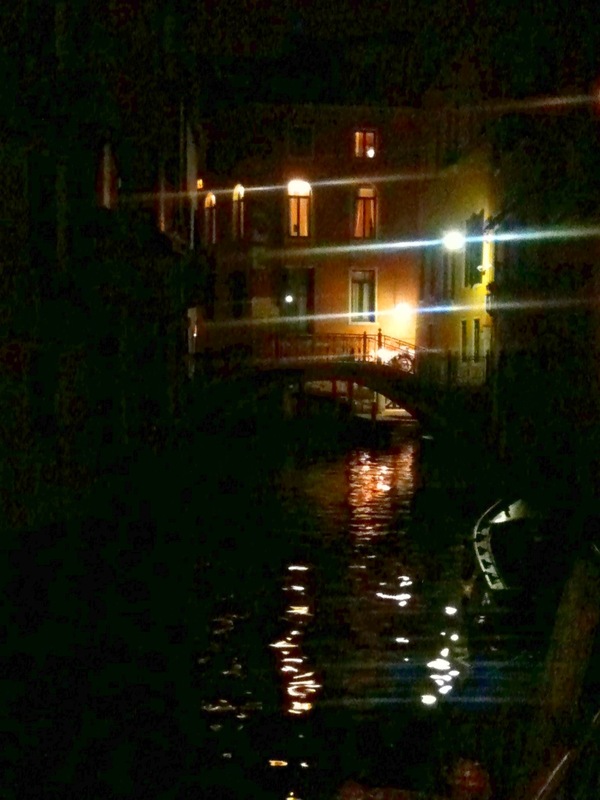 Insights from Italy―Day 6: Venice!! 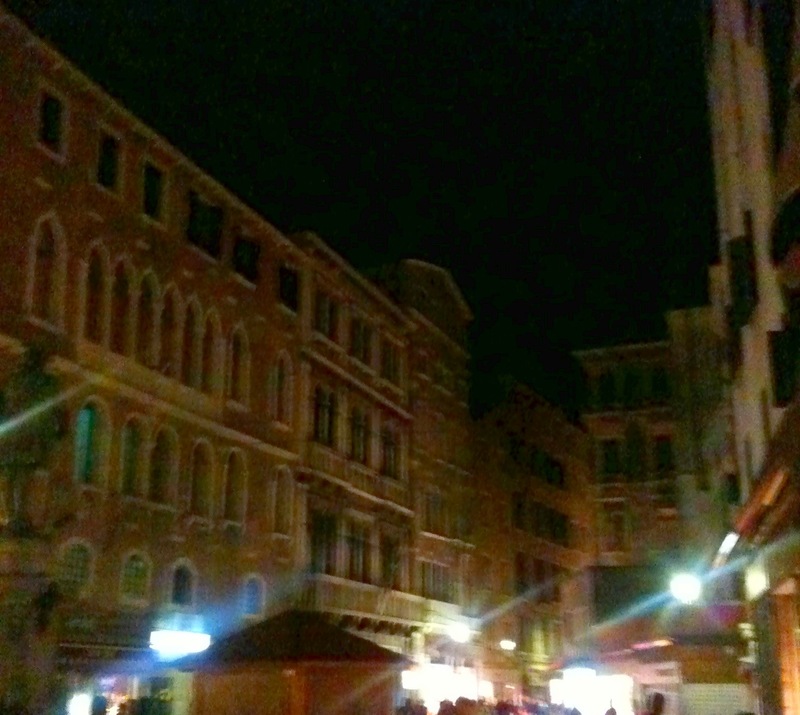 It’s been a long day, but with Venice as our final destination we pressed on. 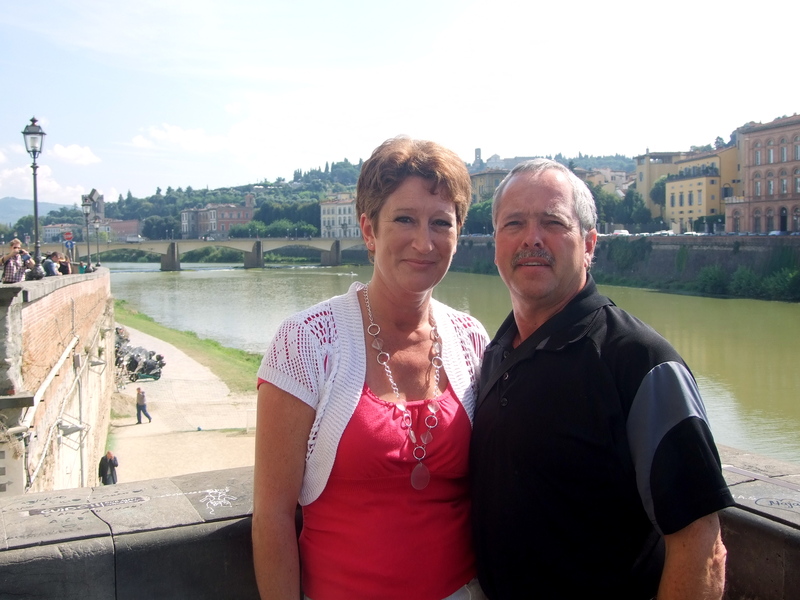 We said our good-byes to Sherry and Riccardo and bid La Selva farewell, promising to return. Next time it will have to be at least a week—so much to see and do. Our little car got us to Florence and there we dropped it off to continue our journey by train. 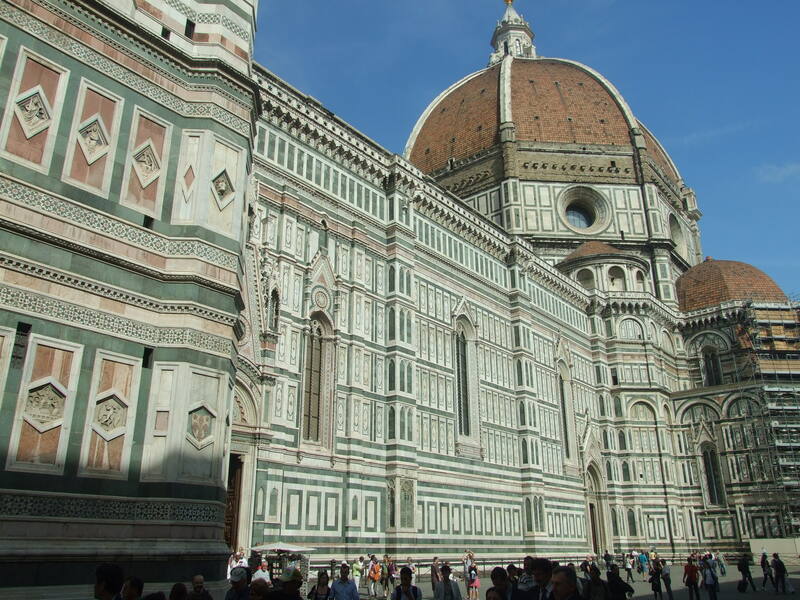 But before we left, we saw some of the sights Florence has to offer. I have to admit, I was not in the best of moods. Too many people, old stone buildings that all look the same after a while, and the feeling of being dragged around on a leash (not Ron’s fault, we just planned too many things and didn’t allow enough time each day to just ‘be’—it’s taken it’s tole on me, physically and emotionally, and I had a bit of a meltdown. Maybe I just needed to vent. Whatever it was, I feel better now. It was good to sit back on the train and just watch the scenery as we passed by. 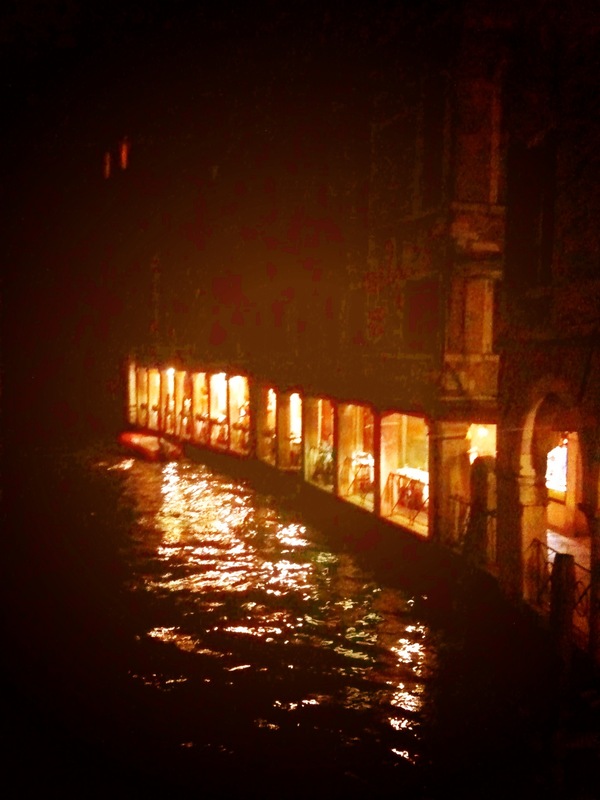 And as soon as we crossed the water into Venice, I came to life. The city has such an energy; we could both feel it. Getting to our hotel was interesting. Yes, we could have taken a water taxi, which would have dropped us 100 feet from our hotel, but opted for the water bus, or vaporetto, instead. It’s Venice’s version of public transit and many tourists use it, luggage and all. We bought a 36 hour pass and plan to see more of the city that way tomorrow. We naively took the #2 North instead of South, so instead of going down the Grand Canal we skirted around the whole city, stopping at every stop. When we got to the end of the line, we had to get off or go back where we’d come from, so we set off in search of our hotel. It turned out to be a ten or fifteen minute walk and not difficult pulling our wheeled luggage. We are in a quaint little hotel that overlooks a square called Santa Maria Formossa with a church and several open air restaurants. I love it here! After a light supper with a glass of wine, we went exploring. With the exception of a few wider ones, the streets here (if you can call them that) are as wide as my arms reach. All are well lit (it was dark already when we arrived) and even after nine at night, some shops are open. 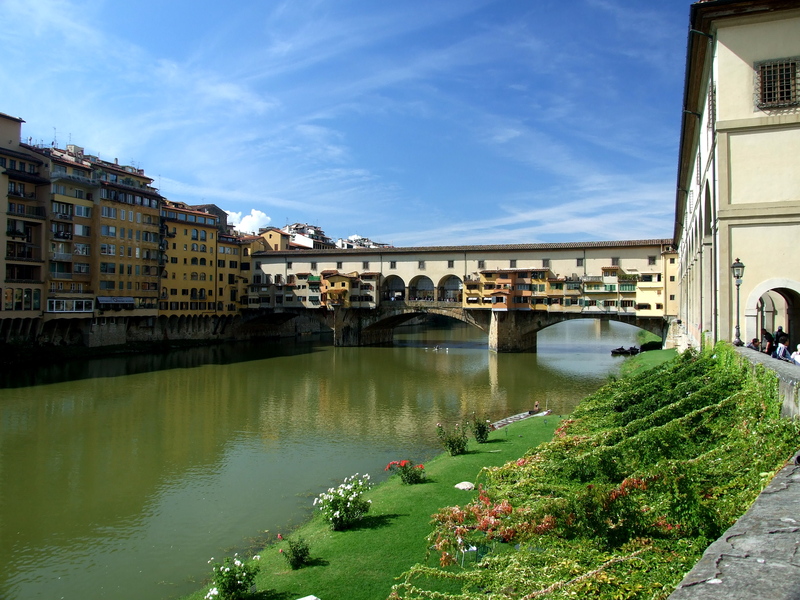 Small bridges cross the canals and connect the maze of streets and alleys, campos and piazzas (not sure what the difference is). Well, it’s late now and I’m ready to sleep. Tomorrow is another day and I can’t wait to see this amazing city in the daylight.